I sold my Excursion, and I have some left over stuff in my garage. 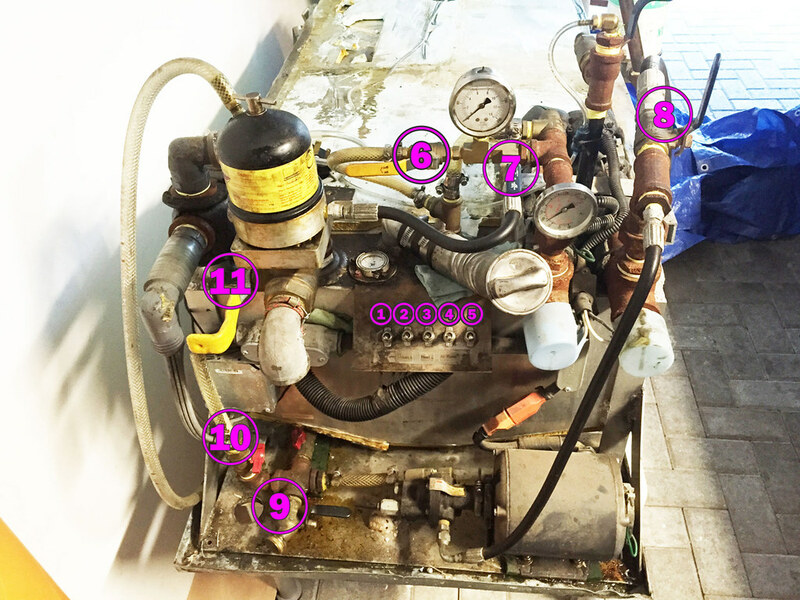 I am selling the oil processing setup. See pictures for details. I bought it from an engineer who designed it to sit in the bay of a motorhome. It is all self contained. 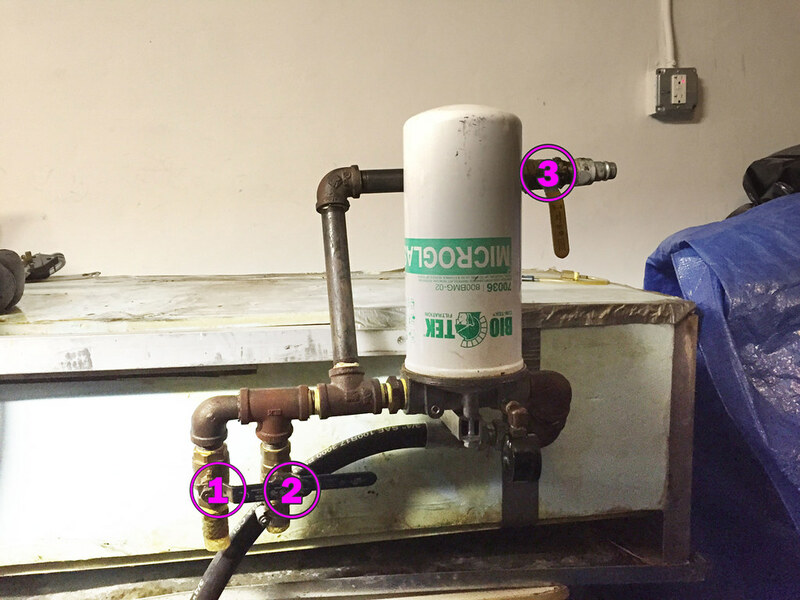 It consists of a 50 gal aluminum tank, 2 heaters, pump, a centrifuge which works withe oil pressure not a separate pump and a series of valves. You dump unprocessed oil in, turn it on for a couple of hours and when done it exits through a big micro glass filter for a final polishing. It has worked very well for me in the past and it is foolproof. I also have some new filters for it. 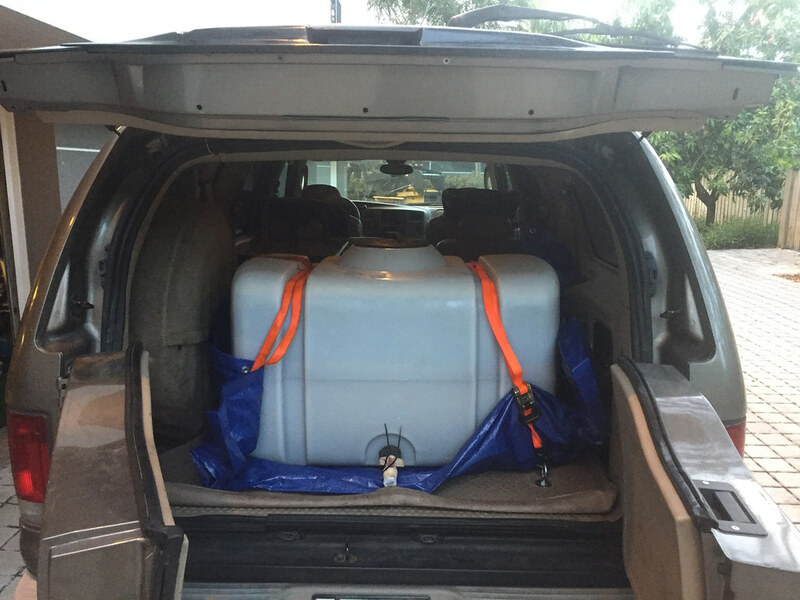 Also for sale is a 100 gal tank I have used as an aux tank for the cargo area in the past (see picture), can be used to gravity feed into the EXC main tank. 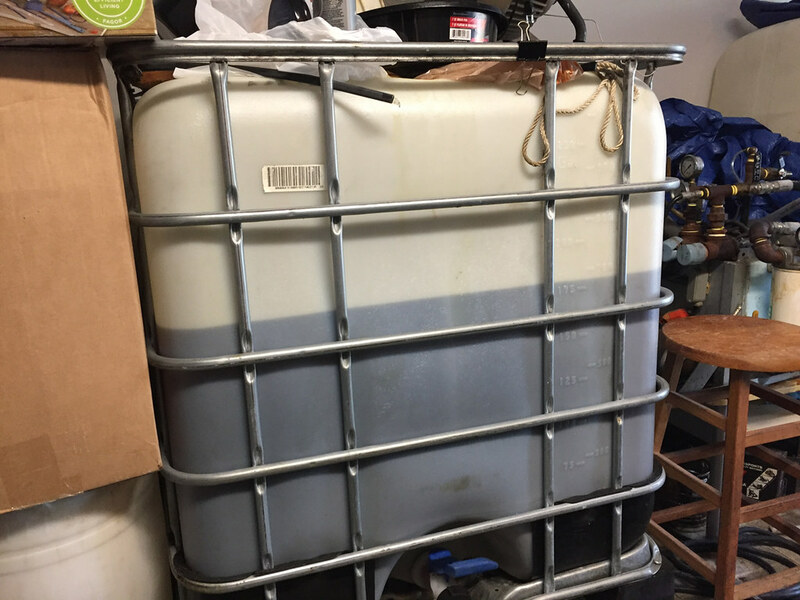 I also have some WVO left in my garage: about 180 gals of unprocessed and around 50 processed. The oil is in a 275 gal tote, and it comes with a manual forklift to move it. I also have a bunch of 50 and 20 gal barrels and 5 gal cubbies. Asking $300 for the whole setup, but might be willing to part some stuff separately. Anyone who is interested, feel free to PM me. I am located in South Florida. Need to clear the garage! Need this stuff out of the garage. Anyone interested at any price? Id be interested in the oil but it would be about 8 weeks before i could pickup since im currently deployed. OK, I will see how long I can keep it. I haven't had a ton of interest locally and I would rather it ends up with someone from the forums. I still have this laying around in the garage. Lowered the price substantially, and I am willing to entertain offers. Anyone? Lowered the price some more. Just in the amount of oil compared to the price of D2 it's worth it. Just like getting the processor for free.